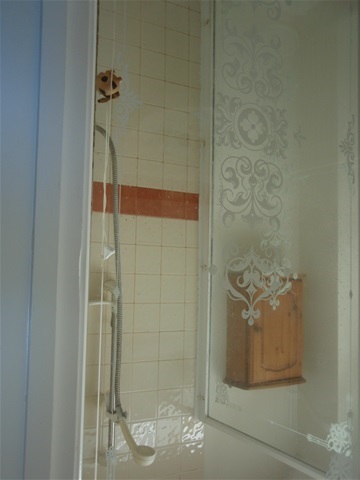 Before - the dated screen, tiles and shower needed to be replaced with something more stylish. 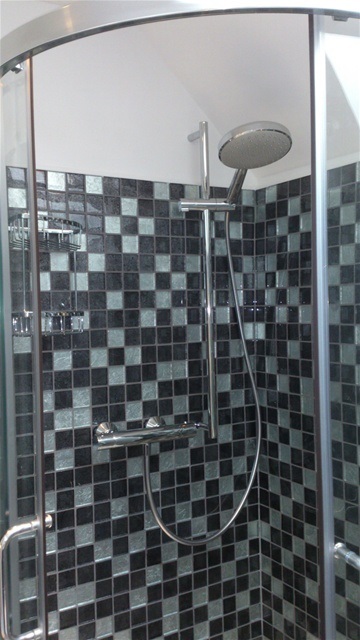 After - curved sliding doors and generous shower head make this a shower to hog! 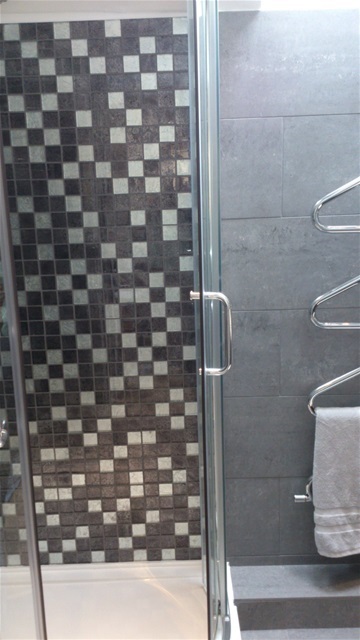 After - a combination of feature glossy mosaic tiles contrast beautifully with the larger matte wall and floor tiles. Before - we moved the loo and basin to the right wall to create space for a generous shower enclosure. 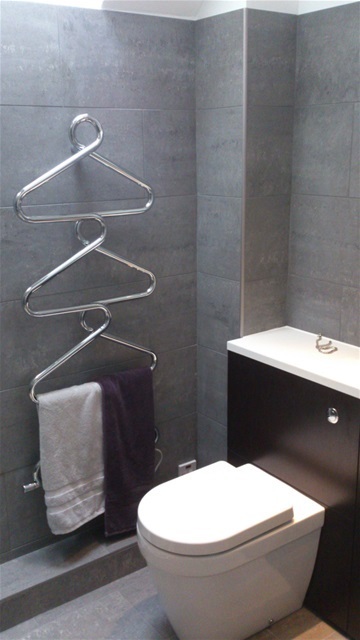 After - the designer radiator with back to cabinet loo and basin give the room a contemporary spacious feel. 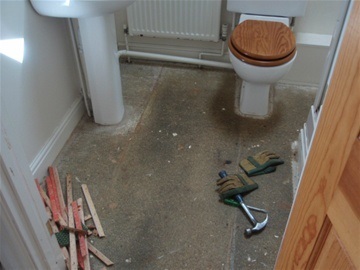 Before - preparing to move the services. We're happy to suggest layouts and advise on plans for your new bathroom or ensuite. After - less is more with this beautiful unit - loaded with storage space. 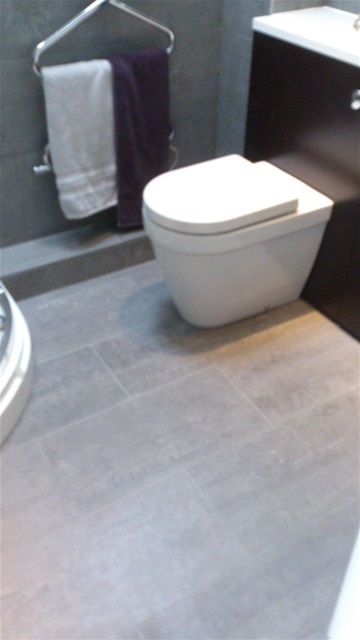 After - the matte tiles are continued across the floor, creating a visually larger, seamless space. A once small and unwelcoming ensuite, with a poorly arranged layout, is transformed into a hotel chic space. 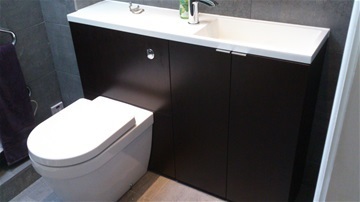 We moved the shower across the room, rehung the door to open the other way, and relocated the basin and loo, swapping the separate units for a sleek, stylish cabinet and wall-hung loo. The clients wanted to achieve a feeling of more space and light. 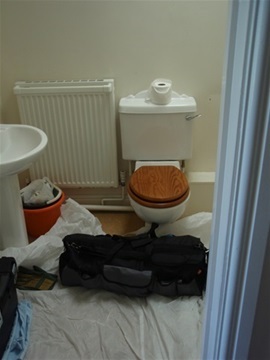 By working closely and listening carefully, we were able to achieve this and give them an ensuite they now love to use. so bright and so much bigger!